A tropical escape in Minnesota will now be as close as the Mall of America with the grand opening of Jimmy Buffett’s Margaritaville restaurant (rendering below) in Bloomington, MN. 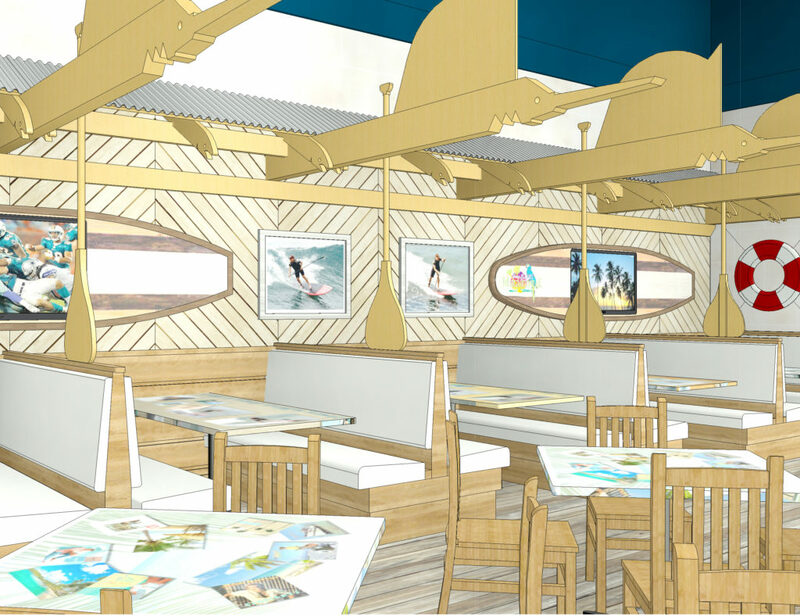 The 315 seat restaurant and bar will be Margaritaville’s first in the state of Minnesota, offering a fun, family-friendly dining experience combined with an array of island-inspired flavors, family entertainment, a Porch of Indecision dining area and retail space. A grand opening ribbon cutting ceremony and margarita toast is scheduled for Tuesday, September 20th from 10 to 10:30 a.m. Taking a cue from Jimmy Buffett’s storied past, the restaurant’s design brings together a combination of tropical elements to create Margaritaville’s version of a Key West beach bar in the middle of Mall of America. The nearly 10,000 square feet venue transports guests to paradise with shades of green and blue, reminiscent of a Caribbean island, complemented by wood accents and country music inspired décor (rendering right). Options abound to dine or simply relax with drinks, including a 5 o’Clock Somewhere Bar and the Porch of Indecision dining area that opens to the hustle and bustle inside Mall of America. The Margaritaville menu invites guests to unwind with house-made margaritas, frozen boat drinks and cold LandShark Lager along with signature food items like the Cheeseburger in Paradise, Hand-Battered Chicken Tenders and Volcano Nachos. Other notable menu items include Buttermilk Fried Chicken and LandShark Lager Fish & Chips – hand-dipped in LandShark batter, fried golden brown and served with jalapeno tartar sauce. A ribbon cutting ceremony and margarita toast will be held at the restaurant’s grand opening on Tuesday, September 20th from 10 to 10:30 a.m. Margaritaville and International Meal Company executives, along with local movers and shakers, will be joined by the community, Parrotheads stilt walkers and more. The festivities will be open to the public. 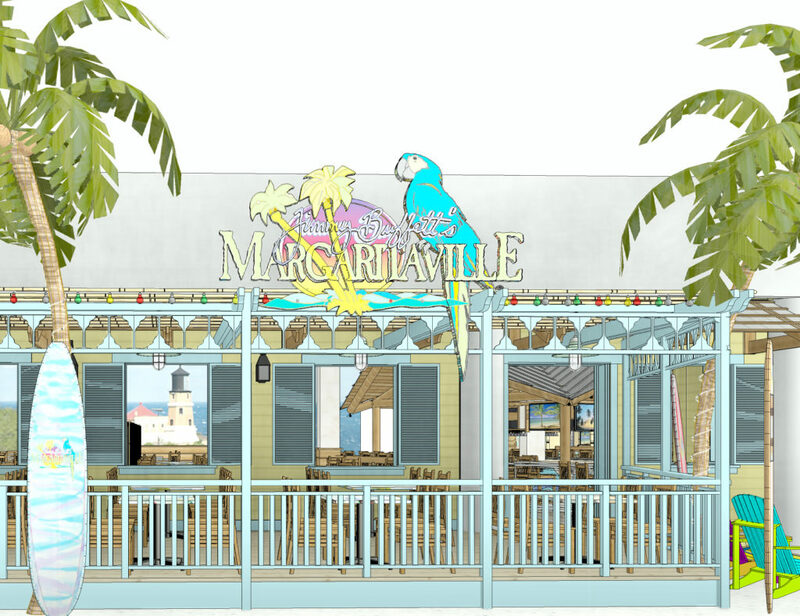 Margaritaville will open immediately after the ceremony to start serving guests the newest Margaritaville specialties. Margaritaville is open 11 a.m. to 10 p.m. Sunday through Thursday and 11 a.m. to midnight Fridays and Saturdays.